Help Abe on his adventure to save his people, the Mudokons, from the clutches of the evil Molluck the Glukkon in the brand new action game Oddworld: New ‘n’ Tasty for Android. Abe overheard plans from his boss, Molluck the Glukkon, to turn Abe and his fellow Mudokons into Tasty Treats as a final effort to rescue Molluck's failing meatpacking empire... Can Abe change the fate of thousands and rescue the Mudokons? Guide our hero on his journey of survival and defeat the Mudokon-eating monsters! 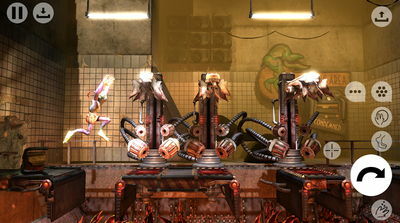 Play Oddworld: New ‘n’ Tasty 1.0.4 now and help him stay off Molluck's menu now! 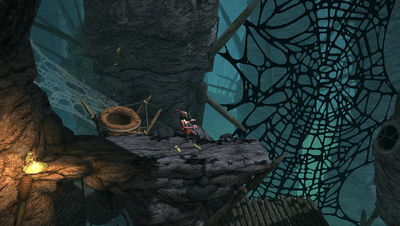 The game also features HID gamepads support, Cloud Save, and GPG Leaderboards and Achievements.